Is there anything greater than that first bite of a delicious pizza? Well, maybe the second bite, and the third, and the fourth… Ok, every bite is just as great as the last. We can never get enough pizza. If we could eat just one meal for the rest of our lives, it would be pizza. But where can you go to get a REALLY good, properly authentic pizza the action? 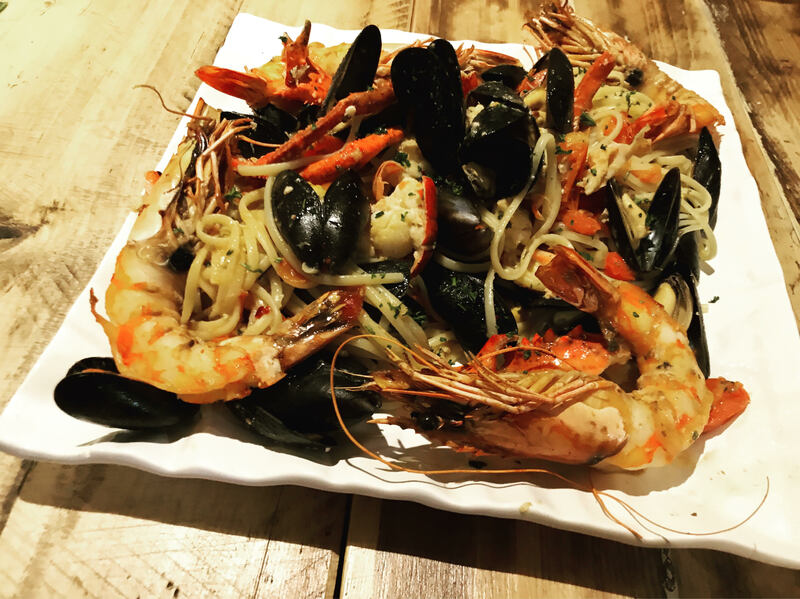 Located on Islington Row (just off Five Ways island), Laghi’s Deli is an independent, family-run Italian restaurant and deli offering high-quality, freshly-prepared food in a warm and welcoming setting. If there’s one thing we can say about the Italians, they know their food. Pizza, pasta, fresh breads, incredible cheeses, meats and oils. So many of our favourite foods come from Italy. Italians also know that the very best food is made from the very best ingredients. If you want your food to taste incredible, you need to use the highest quality ingredients you can afford and make it fresh from scratch. No cutting corners, only the best. 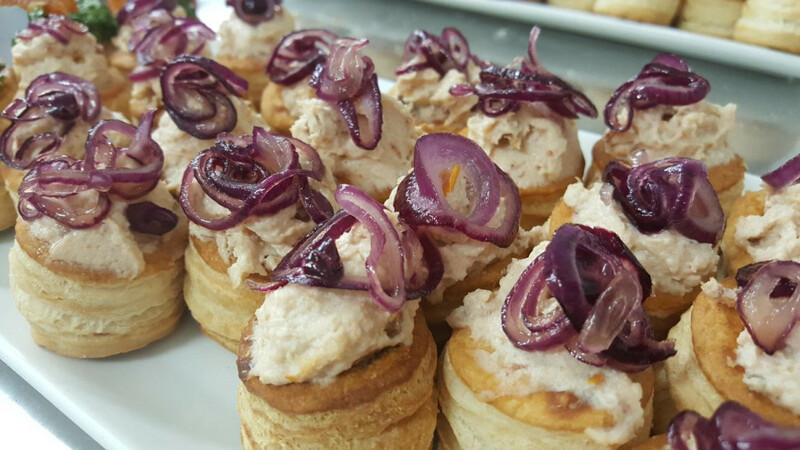 This is exactly what you can expect from Laghi’s Deli. From the olive oil (ranked one of the three best Extra Virgin Olive Oils in Italy) they use both as a condiment and in the cooking, to the wine they serve, every ingredient and product in the restaurant is chosen for its impeccable quality. Luca, owner of Laghi’s Deli, takes great pride in his Italian heritage and coming from Bologna (one of the foodie capitals of Italy) he is passionate about serving authentic Italian cuisine to the people of Birmingham. If you want a real, authentic Italian experience, Laghi’s Deli is the place to go. The pastry chef is in the kitchen every morning from 4am to make fresh doughnuts (which are incredible, by the way) and everything that is served from the restaurant is hand-made from scratch each day – from the pizza dough to the pasta, and the breads and pastries to the gelato. Only food made fresh that day is served and this can lead to surplus, so anything that is not used that day is donated to the local hospital or charities to make way for a new batch of fresh food the next day. As is the Italian way, family is hugely important to Luca and his business. 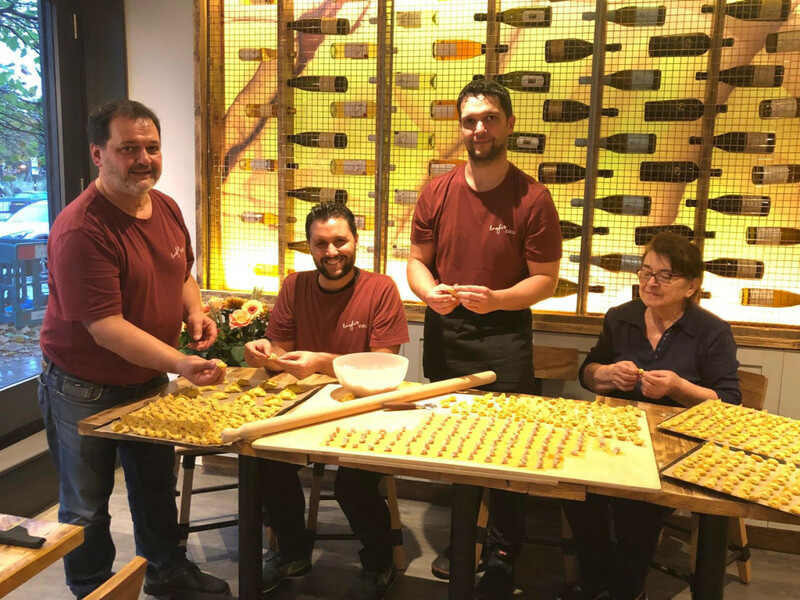 Everyone from his 78 year old mum (making pasta by hand), to his brother and his nephew, is involved in the restaurant, making it a truly family-run business. This gives the restaurant and the service a warm and welcoming feel. From the moment you step through the door, you are welcomed in with open arms, as part of the Laghi’s family. As the cuisine varies so widely from North to South in Italy, the chefs are all from different areas and so they can each bring different expertise and ways of doing things to the kitchen. From Rome to Tuscany, Puglia to Sardinia, each chef brings a different taste of Italy, and they regularly host ‘themed’ evenings to allow each chef their creativity and the ability to express themselves. Of course, this is also great for the customers, as they get to sample dishes from the length and breadth of Italy. If you are looking for the perfect wine to go with your meal, ask the friendly staff to help you choose. In a previous job, Luca selected wines for a big wine festival, so he really knows his stuff and takes pride in his staff having a vast wine knowledge too. Some of the wines (including a Prosecco) they serve are even produced from vineyards owned by Luca and his friend back in Italy. While you’re there, pick up a bottle to take home with you (like we did), and some meats, cheeses and pastries too. Much of what you can eat in the restaurant can be bought from their deli counter (and you’ll probably find yourself coming back on a regular basis to stock up). 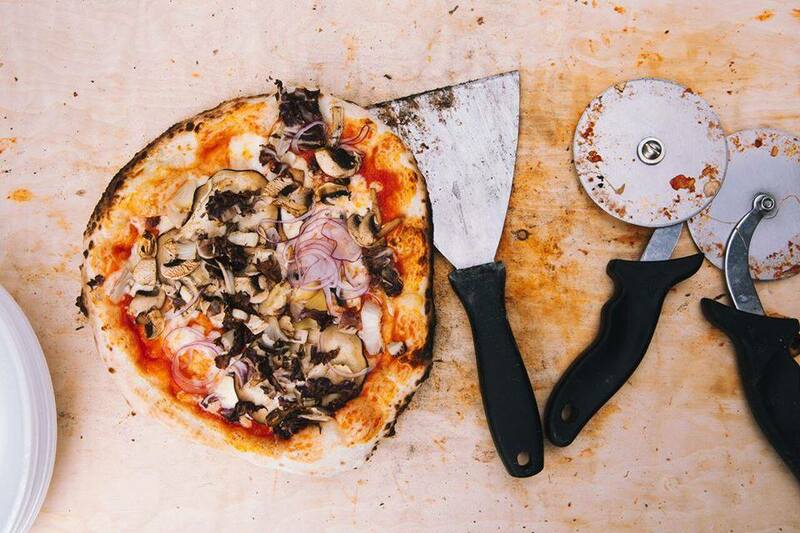 Oh, and did we mention: they do TAKEAWAY PIZZA! Yes. 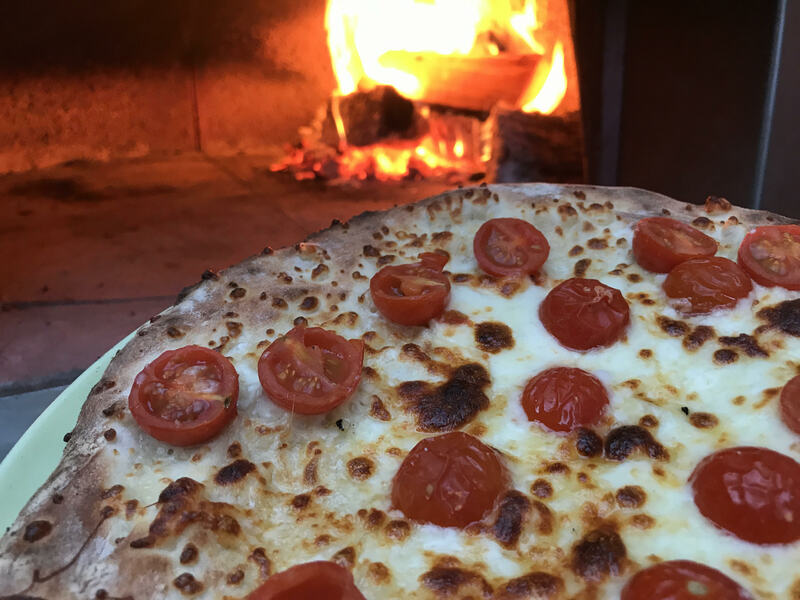 So, if you’re looking for the freshest, most authentic Italian cuisine in the city, you love a restaurant with a rustic, laid-back vibe or you simply LOVE pizza, you must, must, MUST make a pilgrimage to Laghi’s Deli. It’s a little slice of Italy in Birmingham.